Around 30 years ago Fender released the Stevie Ray Vaughan Stratocaster model, In 2019 the Fender Custom Shop are now doing their take on it. 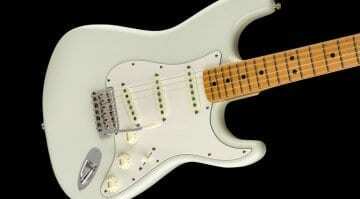 It was an instant hit and many players covet early production runs of the guitar. Stevie never got to see how well it did worldwide, but he had a huge input in its initial design. Whole websites are dedicated to this model, that is how popular it is. They are great guitars, I owned one for many years myself, and include some unique hardware and design choices. A left-handed tremolo on a right-handed guitar? 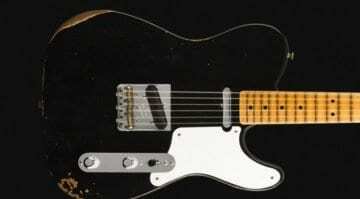 The then-new Texas Special Pickups and a huge unique neck that went from kind of soft V to C profile, but officially Oval “C” according to Fender a the time. 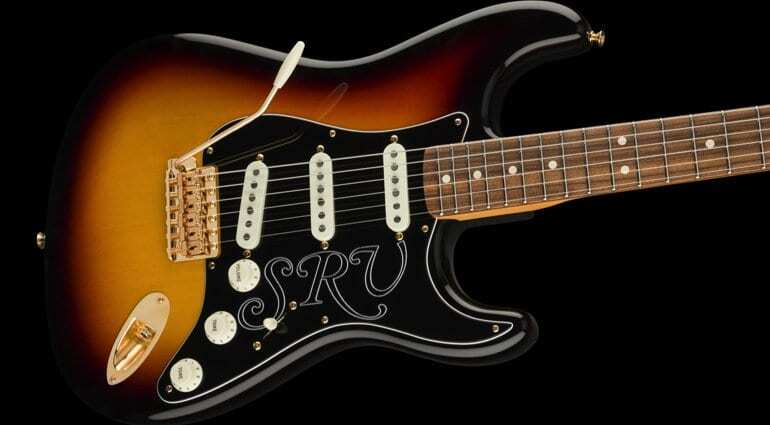 Oh, and that famous SRV inscribed in white onto a three-ply black pickguard. Fender Custom Shop is now offering their version of this classic Signature model guitar and as of this year, you’ll be able to get one from them, rather than the regular US factory edition. Now you get Custom Shop Hand-Wound Texas Special pickups and a two-piece Select Alder body that is finished in a three-tone sunburst lacquer finish. The rift sawn maple neck has an Oval “C” profile and is finished in tinted nitrocellulose. It is fitted with 21 jumbo frets on a Pau Ferro fretboard. 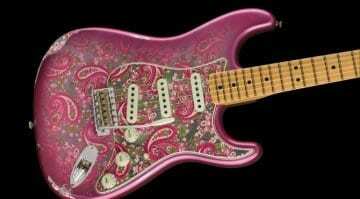 I kind of want one again seeing this, they are great guitars and you just know that Fender Custom Shop will make them just right. The official pictures on the site look awesome and now I just want to go play one and hear it. It comes in a deluxe hardshell case, with a strap, Certificate of Authenticity. 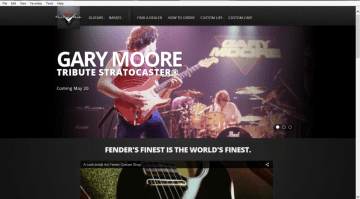 Fender Custom Shop Gary Moore Stratocaster – May 20th?